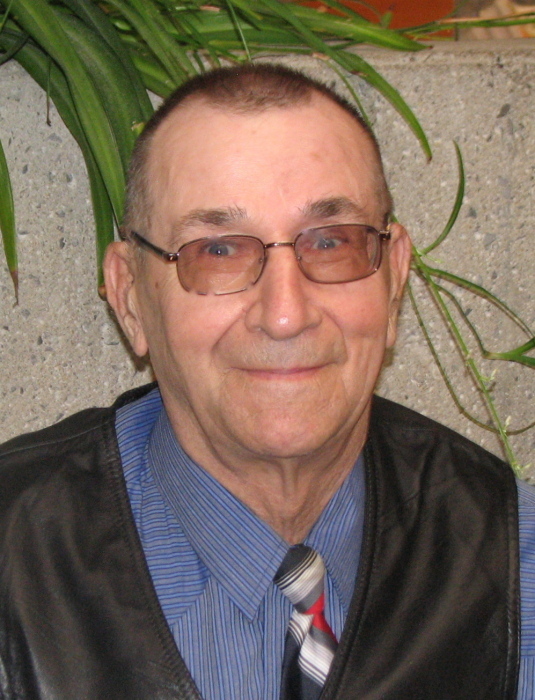 It is with great sadness that we announce the passing of Edward David Oczkowski, recently of Pincher Creek, AB, who, on November 23, 2018 at the Vista Village care facility, was called to be with our Lord at the glorious age of 89 years. Ed was born in Beaver Mines, AB on December 24, 1928 to proud parents, John and Veronica Oczkowski. He was raised to have an incredible work ethic, a strong sense of duty and commitment to family. Ed was a man of perseverance - when losing his hand in a sawmill accident, he could not be considered disabled, but more creative and diligent. In his free time, Ed enjoyed travelling, spending time outdoors, woodcutting, walking his dogs, pinecone picking and time with his grandchildren and great grandchildren. Ed was very talented with wood craft; he specialized in grandfather clocks. Ed cherished his family, especially his loving wife Gloria. He was a loyal, strong, kind-hearted man who will be deeply missed and forever remembered by all who were fortunate enough to have known him. Left to mourn his passing and celebrate his life include his beloved wife, Gloria Oczkowski (née Fraser); his children, David (Cheryl) Oczkowski and Wendy (Kevin) Catonio; his grandchildren, Aaron Kozler, Daniel Kozler, Alexandra Oczkowski, David Jr. Oczkowski, Ian Catonio and Logan Catonio; his great grandchildren, Emma, Madi, Ayla, and Makenna; his brother, John Jr. Oczkowski of Pincher Creek; his sister-in-law, Marguerite Fraser of Coleman; his brother-in-law, Jim (Donna) Fraser of Picture Butte; as well as numerous cousins, nieces, nephews and friends. He was predeceased by his parents, John and Veronica Oczkowski; his brothers, Joe Oczkowski and Walter Oczkowski; his sister, Elsie Wakelam; his sister-in-laws Agnes Oczkowski and Andrea (Penny) Oczkowski; and his brother-in-laws Barry Fraser and Howard Nesbitt. The Memorial Service will be held at 11:00 am on Saturday, December 1, 2018 at the Holy Trinity Catholic Church (13126 – 21 Ave., Blairmore, AB) with Rev. Nicky Keyworth officiating. Memorial donations may be directed to S.T.A.R.S. (P.O. Box 570, Calgary, AB T2E 8M7), or to the charity of your choice. Condolences may be registered at www.fantinsfuneralchapel.ca.